“Whether you are looking from the perspective of lives saved, U.S. health security, global stability, economic growth, or American trade interests, the answer is clear: We need to focus on ending these three epidemics for good.” –– These were the remarks of Chris Collins, president of Friends of the Global Fight (“Friends”), in an op-ed article recently in The Hill, a newspaper targeting lawmakers and people of influence in the U.S. government. Collins’ piece was published in conjunction with a new report by Friends, titled “At the Tipping Point: U.S. 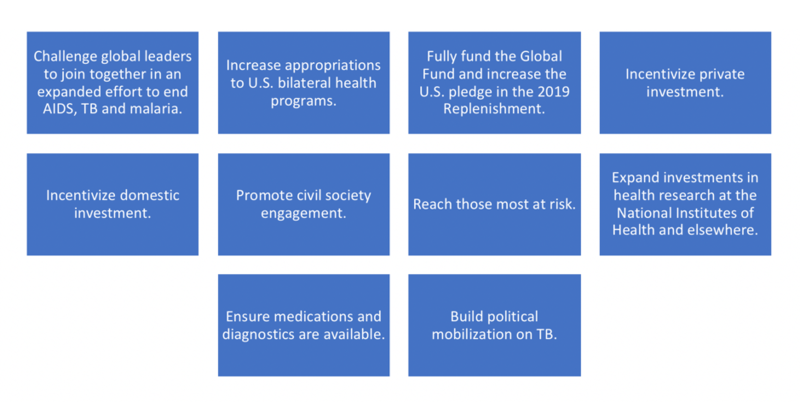 Leadership to End AIDS, Tuberculosis and Malaria.” The report makes the case that U.S. leadership has been foundational to the incredible progress the world has made in combating the three diseases, but to not double-down now risks squandering much of that progress. This message may form the centerpiece of Friends’ advocacy for an increased contribution during the Global Fund’s Sixth Replenishment drive, which is expected to get underway over the next year. According to the report, both the responses to the diseases and American policy are at respective tipping points. “We have a choice: to mobilize partners to accelerate the end of [the] epidemics, or stall and permit resurgence and drug resistance to overpower success to date.” The report highlights that governments, partnerships and business are all underinvesting in efforts to address the three epidemics. It also offers suggested actions to get on the right track. The report is very top-level in that it doesn’t spend too much time on the details, but rather lays out in simple terms what the risks are if leaders don’t ratchet up their political and financial commitments, and what the payoffs could be if they do. Each of the three diseases receives a focused discussion, complete with a status update, some key challenges to ending the epidemic, and an offering of “opportunities to accelerate progress.” We summarize the discussions below. The report highlights that from 1997 to 2016, global HIV infections fell by 56%, and that AIDS-related deaths nearly halved between 2005 and 2016. These achievements owe a lot to U.S. investments via the Global Fund, PEPFAR, and other channels. The “interconnected” relationship of PEPFAR and the Fund is described as an important expression of U.S. leadership in combating HIV/AIDS. 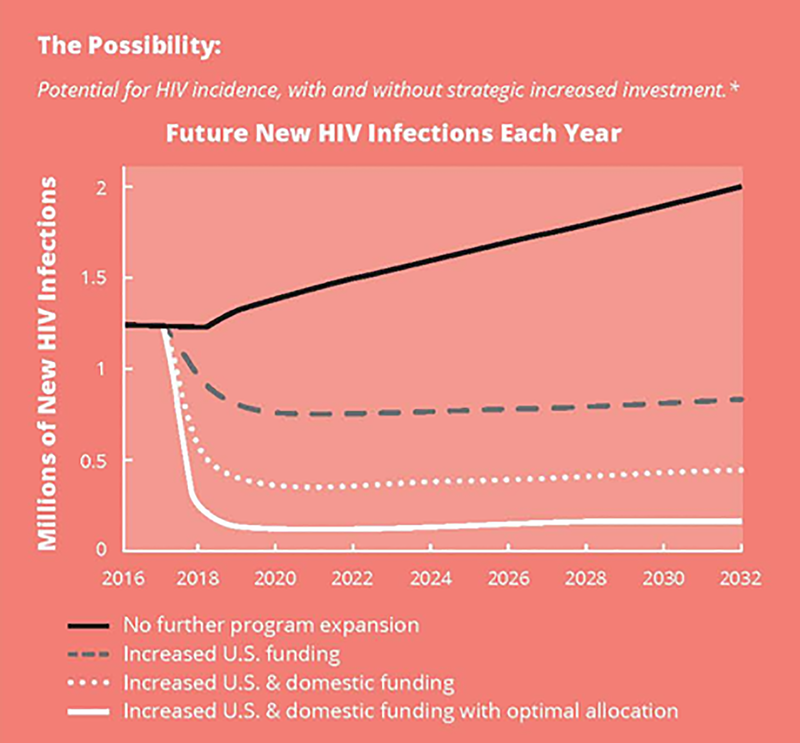 Figure 1 below, which comes from the report, describes several future scenarios for the HIV/AIDS epidemic based on differing levels of funding from the U.S. and others. Table 1 provides an overview of the challenges and opportunities in the effort to end AIDS, according to the report. See the full report for greater detail. 15.8 million people still need lifesaving treatment. There is inadequate access to HIV prevention. Key populations, which account for 80% of new infections outside sub-Saharan Africa, are being left behind. Expand geographic and population focus of investments. Scale up production and distribution of the best HIV medicines, especially Dolutegravir. Sustain robust research in treatment and prevention. Unlike HIV, TB is curable today. But with more than 10 million new cases and 1.7 million deaths from TB in 2016, there is much work to be done. The report notes that “TB is an excellent example of shared global responsibility” in that nearly 85% of TB prevention and care investments come from domestic sources, rather than external donors. But without stepped-up donor investments to end TB soon, drug resistance may reverse much of the progress to date. Figure 2 below shows projected incidence scenarios based on various investment levels through 2035. Table 2 includes the major challenges and opportunities for ending TB, as laid out in the report. 4.1 million cases of TB go unreported each year, driving transmission and leading to poor outcomes and death for many of those people. TB treatment is still too complex, and prevention inadequate. 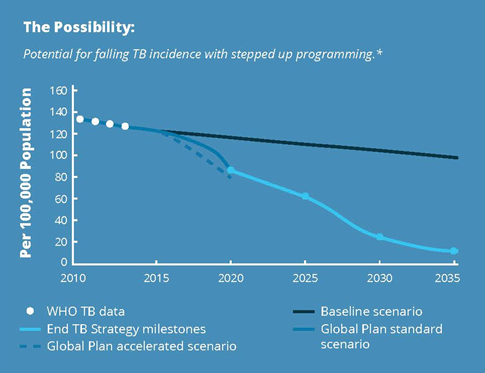 A $2 billion-plus funding gap for TB persists globally. 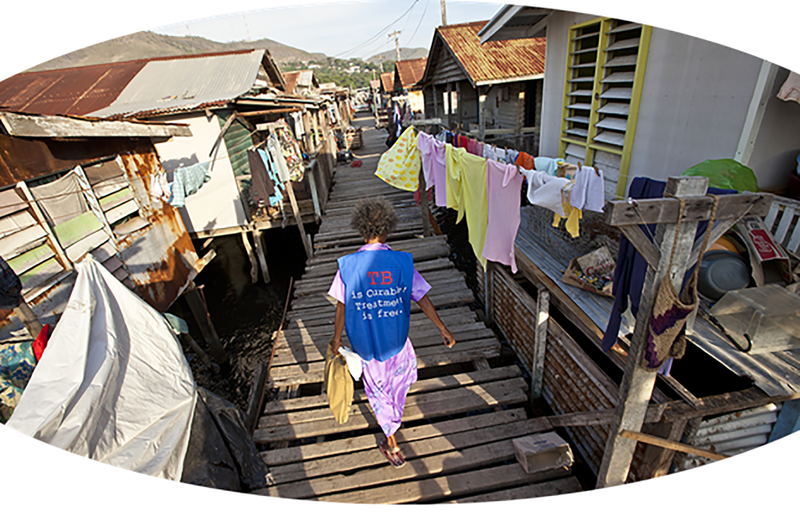 Scale up financing of the USAID TB program, thereby expanding its reach. Consolidate global political will to end TB, via the 2018 U.N. High Level Meeting on TB and other venues. Expand research for point-of-care diagnostics, better treatment regimens and an effective vaccine. While there has been incredible progress on malaria — 21 million fewer cases in 2016 than 2010 — the world is far from out of the woods. Part of the problem in tackling malaria globally is that the successes are not shared equally. According to the report, countries by and large fall into one of two categories: “those progressing toward [malaria] elimination, and those with a high burden of malaria that are experiencing setbacks.” The World Health Organization (WHO) reports that funding shortfalls are the main driver of stalled progress in the second group of countries. Table 3 below describes some of the key challenges and opportunities for ending malaria, according to the report. Drug resistance is on the rise and has the potential to derail malaria control globally. Insecticide resistance threatens the efficacy of bed nets as a core prevention approach. Progress is slowed by insufficient global and domestic financing for malaria programs. Regional control efforts are mobilizing greater funding and collaboration. New and better insecticides are on the horizon. The U.S. President’s Malaria Initiative is highly effective and could scale up with greater investment. The Friends report closes with ten recommend actions decision-makers can take to “make even greater progress against three biggest infectious disease killers.” See Figure 3. The Health GAP report mentions what it calls a “mantra within U.S. global AIDS programs”: delivering the right things in the right places at the right time. Playing on this, the report warns that “the right moves, too slowly, in too few places due to insufficient funds, could irreparably derail the AIDS response.” That’s the consequence of U.S. flat-funding, according to Health GAP; flat funding should not be seen as a victory, it said. While the Health GAP report calls for broad increases in investment in AIDS programs, it zeroes in on three particularly dire contexts, in Mozambique, South Africa and Cameroon. By highlighting these three cases, the report is able to drill down to show more of what inadequate funding really looks like on the ground. Both reports come at a peculiar time in American politics. President Donald Trump’s most recent budget proposal called for a $1 billion cut in global health aid. But with strong bipartisan support for these programs, Congress seems to have avoided the worst of the cuts for now by passing a budget which did not dramatically reduce funding. The point of Health GAP’s report is not to celebrate the avoidance of huge cuts as a victory, but to call out the flat-funding as a significant problem in and of itself.